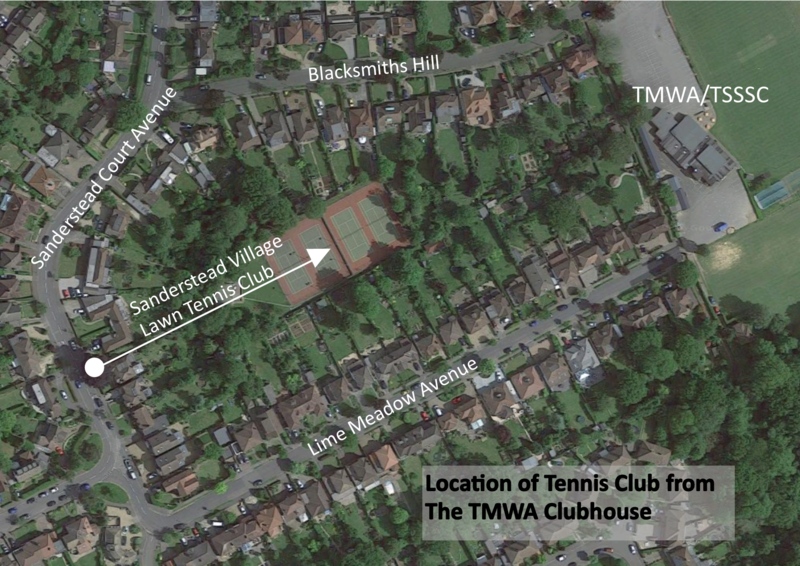 The Sanderstead Village Lawn Tennis Club is also based in Lime Meadow Avenue/Sanderstead Court Avenue/Blacksmiths Hill. Please see the map below. We are gradually increasing our "ties" with that club as we feel it will be in both of our best interests to have close ties. Their website is HERE and they look forward to receiving any membership inquiries - the Sunday afternoon "GIFT" would be a good introduction to tennis and their club.